Iowa State became Transfer U under Fred Hoiberg, and it still is to some extent, with Michigan State senior transfer Korie Lucious trying to fill the void left by Royce White last season. But if the Cyclones are to build upon the momentum gained from last season's NCAA tournament win, they have to blend freshmen with their second-chance transfers. Hoiberg is confident his incoming class will give the Cyclones the right mix to remain relevant. Freshman Georges Niang has been the most impressive of the new lot, according to Hoiberg, but the coach has been pleased with the impact as well of the other three, Nkereuwem Okoro, Sherron Dorsey-Walker and Naz Long, as well. Iowa State has commitments for its 2013 class from Matt Thomas out of Wisconsin and Monte Morris from Michigan to shore up the perimeter. "I love this group, and with the two new commits and the guys coming in, we're excited about our future; the future is bright," Hoiberg said. "We've got a good mix right now. Five seniors and the young guys are very good players." Gone from last season's 23-11 team are White, Scott Christopherson and Chris Allen, the Cyclones' top three scorers. All three were transfers from other Division I schools. Chris Babb, another transfer, was the fifth-leading scorer and returns, and the Cyclones will look to yet another transfer this season in Michigan State's Lucious. Utah senior forward transfer Will Clyburn is also eligible. And Anthony Booker, Tyrus McGee and Percy Gibson will add depth. "The one thing we didn't have [last season] was a true point guard," Hoiberg said. "We gave a scholarship to Bubu Palo at mid-semester and he gave us solid minutes. We'll have a much more traditional point guard. We'll play faster. We'll have more athletic wings." Hoiberg said he won't change the way he is building this program. But he has better balance. The schedule will play out well for the Cyclones with a tournament in Las Vegas in which they'll open up against Cincinnati and then play either Oregon or host UNLV. The Cyclones added a home-and-home series with BYU, beginning in Ames. The rest is more than manageable, although the annual rivalry game with Iowa will be even tougher because of the Hawkeyes' improvement. Kansas will be the favorite in the Big 12, with Baylor, Texas and Kansas State likely on its heels. Oklahoma State and Oklahoma should be much improved. West Virginia and Iowa State could be the wild cards in the mix, putting the Big 12 in position to possibly have eight of its 10 teams in the mix for NCAA tournament bids in late February. "The blueprint is to have as much talent as possible and, at first, when we got here, it happened to be transfers," said Hoiberg, who signed a new eight-year deal after last season that will push him through 2021. "It worked well for us and we'll always look for transfers here. We had great chemistry together and it showed later in the year. That being said, we want freshmen in this program. We have an enthusiastic group and we've got great kids and players in this program for the next four years." Ron Chenoy/US Presswire Bill Self has certainly had plenty of opinions on the realignment occurring in college sports. PITTSBURGH -- As the season tips off Monday night with a soft opening (something akin to debuting a new restaurant to family and friends during the week before the big weekend rush), there are still legitimate concerns about some significant players who are out. • Pitt will play Rhode Island without starting forward Nasir Robinson (right knee surgery) in the opener of the 2K Sports Classic benefiting Coaches vs. Cancer. (The other opening games at the event include UC Irvine at Illinois, Navy at Texas and Seattle at Maryland). Robinson said early Monday that he has been biking to get movement back and is hopeful he can play on Nov. 18 against Maryland in the semifinals at Madison Square Garden. Don McPeak/US Presswire An ankle sprain will keep SEC preseason player of the year Trey Thompkins out of Georgia's season opener. • Georgia coach Mark Fox said Sunday night that SEC preseason player of the year Trey Thompkins won't play in the Bulldogs' opener Friday against Mississippi Valley State because of a high right ankle sprain. Fox said the Georgia training staff is aggressively treating the sprain. The Bulldogs have a rough early season schedule with a home game against Colorado on Nov. 16, which is hardly a pushover with NBA-level players in Cory Higgins and Alec Burks. They then visit Saint Louis on Nov. 20, which would have been a much more difficult game had the Billikens not suspended two of their best players in Kwamain Mitchell and Willie Reed. Georgia's schedule gets tougher with a game against Notre Dame in the first round of the Old Spice Classic in Orlando on Nov. 25. Once that tournament is over, the Bulldogs play always-pesky UAB before its rivalry game at Georgia Tech on Dec. 7. Do the Bulldogs need Thompkins for all of them? No. But, for a team in a rugged SEC East, losing games early can add up when it comes time for selection or seeding in March. Had the schedule been softer earlier, then there might not be as much cause for concern. 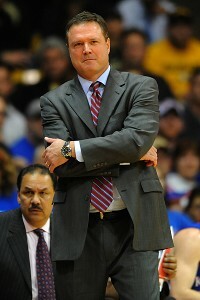 • It's hard to project if Kansas will have point guard Josh Selby for the opener against Longwood on Friday. There has been no indication from the NCAA that he will be cleared of an amateurism issue. • The most discussed player who is dealing with an amateur issue is Kentucky's Enes Kanter. But unlike Selby, Kanter can't practice. The question for Kanter is: Did he receive more than the allowable expenses while playing for a Turkish professional team as a teenager? His case will be interesting for the NCAA since the organization got rid of the one-for-one game suspension rule. This comes down to expenses. How will the NCAA interpret what was fair for a player to receive and still maintain any amateurism before he transferred to the United States to play? Of course, this is with the understanding that there was no signed contract or agent agreement. Kentucky is clearly a more legitimate contender with Kanter playing inside. But he's not as far along as DeMarcus Cousins was a year ago, and he doesn't have the maturity or locker-room ability that Patrick Patterson had last season. Kanter's overall impact is still hard to gauge, especially early in the season when he's still trying to adjust to the college game. Kentucky coach John Calipari said Monday that he's treating it as if Kanter is an injured player who he is not able to contemplate playing since he's not practicing. Kentucky opens Friday against East Tennessee State, and there is no expectation that Kanter will be cleared for the game. The Wildcats then visit Portland to play the Pilots on Nov. 19 before facing Oklahoma in the first round of the Maui Invitational on Nov. 22. • Baylor coach Scott Drew hasn't given any indication whether senior guard LaceDarius Dunn will be cleared to play for the Bears' opener against Grambling State. Dunn has been suspended from competition after an assault charge was leveled against him. • Iowa State learned late Monday afternoon that Minnesota transfer Royce White is ineligible to play. The Cyclones were waiting to see if White had to sit out the year in residence (even though he never played for Minnesota) since he was suspended over multiple issues (theft for one). The NCAA denied White's waiver Monday. Iowa State is appealing the decision, and the school announced that it will appeal to a committee of faculty representatives and athletic directors. White transferred to Iowa State on July 12. Coach Fred Hoiberg said White has been a major impact player for the Cyclones, giving them a scorer in the post and a beast on the boards. 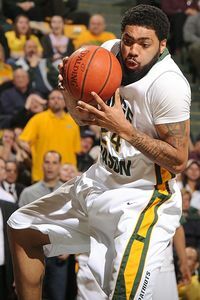 He said White bench pressed 185 pounds 22 times, "which would have made him one of the top players at the NBA combine." Iowa State opens the season against Northern Arizona on Friday. The Cyclones desperately need White in the rough Big 12, especially with the departure of Craig Brackins. The Cyclones' primary post is 6-foot-11 senior Jamie Vanderbeken, but he would not compare to the production that the 6-foot-8 White could produce, if eligible. "We are disappointed in the decision, but we will start the appeal process immediately,'' Hoiberg said Monday afternoon in a statement. "We will exhaust every option available to try and restore Royce's eligibility. Royce is disappointed as well, but he is appreciative of our intent to appeal the decision." Nebraska and Colorado can't get out of the Big 12 fast enough for the remaining 10 schools to relish the most competitive college basketball league in the country. 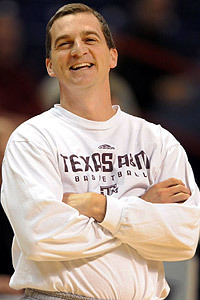 Steve Dykes/US Presswire Texas A&M coach Mark Turgeon is all smiles after hearing about his new league. The current plan is for the Huskers to leave for the Big Ten by next summer for the fall of 2011. Meanwhile, Colorado exits for the Pac-10 in 2012, giving the league one more season of 12 teams and a 16-game men's basketball schedule, and a possible season of 11 teams and a 16- or 18-game schedule before the league goes to a tidy 10 teams in 2012. The plan for 2012-13 is an 18-game schedule with home-and-home games. It might sound simplistic, but the Big 12 held on to a football divisional schedule even though the league standings were 1 through 12. While Kansas State and Missouri have become major national players the past two seasons, Nebraska and Colorado were still in the North. That meant the Big 12 South traditionally had tougher home-and-home games. Not having Kansas and Texas play twice in recent years, save last season's nosedive from Texas, was a disservice to the league. Kansas coach Bill Self said the ACC, Big East, SEC, Big Ten and Big 12 didn't have true champions. Only the Pac-10 did. But the RPI and the overall scheduling for the teams in the Big 12 North (Kansas, Kansas State, Missouri and Iowa State) will change dramatically. "We're trading four games with Nebraska and Colorado for another game against Oklahoma, Texas, Baylor, Texas A&M and Texas Tech,'' Self said of the true home-and-home series and the jump to two more overall league games from 16 to 18. That's when the Big 12 becomes unquestionably the best college basketball conference in the country. No dogs. None. Not even Iowa State, which has slid toward the bottom but still has potentially one of the better home court in the country. The Pac-10 had the envy of other power conferences because of its schedule. The true round-robin schedule produces a real regular-season champion. There is no way to hide behind the premise that the regular-season champion doesn't matter as much because the teams don't play the same schedule. What the Pac-10 had over its fellow power conferences, it will lose once it adds Colorado and possibly Utah, which will mean 12 teams. Washington coach Lorenzo Romar said the familiarity and consistency of home-and-home games was a huge plus. He said he remembered how tough it was being in an unbalanced schedule in Conference USA with St. Louis, Cincinnati, Marquette, Louisville and Charlotte. Losing the home-and-home aspect within the Pac-10 is something Romar said he'll have to sit down, digest and figure out the best course of action for the league, assuming it will drop from 18 to 16 games. Turgeon said he wasn't thrilled to jump from 16 to 18 league games just in number alone, but the format is the best. No one is questioning that. No one seems to question the direction of every program in the remaining Big 12, with Kansas, Kansas State, Baylor and Missouri -- four schools that were being left out of possible expansion -- likely in the top 20 this fall. Texas won't be far behind. Oklahoma State has been a consistent winner. Oklahoma had one disastrous season but is two seasons removed from being a national title contender with then-player of the year Blake Griffin. Assuming OU coach Jeff Capel won't let the Sooners slide again, they should be in the thick of the chase soon. The coaches all agree Texas Tech's Pat Knight is ready to turn the corner this season as a factor in the Big 12 mix. The question is whether Iowa State can regroup and recruit under new coach Fred Hoiberg? If he can, there is no weak link in the bunch and there are no wins that can be counted on to get into the NCAA tournament in a given season. If the football side agrees that other programs (Memphis, Louisville or Mountain West schools) wouldn't add serious value to the league, the compacted Big 12 could easily exist for years and become one of the most competitive leagues in the country. The Big 12 has produced national players of the year in Griffin (Oklahoma) and Kevin Durant (Texas), and one who was close to earning it in Michael Beasley (Kansas State). Duke and North Carolina won the past two national championships. However, outside of Memphis and Kentucky these past two seasons, Big 12 schools have had some of the top storylines in the country. That should only continue as the league matures into a 10-team conference that will become the envy of the other power-six schools because of how easily it will be managed. Navigating wins will be tough, but there will be no letdowns. Every game will be important. As rivalries are enhanced, interest in conference games will increase, and to the benefit of the Big 12, the ratings might rise, too. Lucca Staiger celebrated with his teammates in the locker room after Iowa State beat Nebraska. 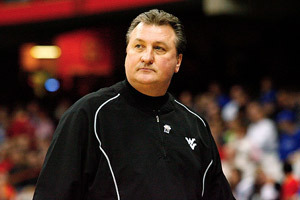 He was at practice Monday, prepping for Wednesday's game against Texas Tech. He showed no signs of pulling off what would ultimately be one of the most selfish moves a player on any team could make. He quit on his teammates, on the staff and on the school Tuesday when he walked into Iowa State coach Greg McDermott's office and said he was going to play in Germany. This was hardly a quick decision. McDermott said Staiger had a plane ticket to go back to his native Germany. "You don't buy a plane ticket home if it's not in the works," McDermott said Wednesday. "I'm disappointed. He knew when he practiced Monday that he wasn't going to play against Texas Tech." Staiger released a statement Tuesday saying he had an opportunity to play professionally in his home country and decided to pursue it right away. He said he would miss his teammates and thanked the fans. He also had a telling statement that he felt it was "important to make this move now because the opportunity might not be there in the future for me." That's almost the exact thing that happened to Florida in February 2004 when Christian Drejer bolted on Billy Donovan and the Gators in the middle of the SEC season for a pro contract in Spain. It didn't matter that the season was still going on. A deal was on the table and Drejer, like Staiger, felt pressure to take it immediately rather than wait to see if it would be there at the end of the season. McDermott said he wouldn't have had any problems with Staiger for leaving for a pro career in Germany after the season was over. "What happens is they'll say if you don't take the offer now, it's not going to be there," Donovan said Wednesday. "Drejer was told if he didn't take the offer, an $800,000 a year deal, then he's not going to get it. He wasn't going in the first round that year. So they go back." Donovan said the mentality for a foreign player, who really only wants to be a pro, isn't the same as an American. They're not viewing college basketball in the same prism as an American since college basketball isn't treated the same way overseas. "Christian told one of our coaches after it happened that he had no idea that it would be such a big deal," Donovan said. That's what's hard to understand. How could Drejer -- and in this case, Staiger -- not think that this was an affront to his teammates, turning his back on them in the middle of a season? "His goal was to play professionally and I think he saw that the NBA wasn't going to happen," McDermott said. "I would understand at the end of the season. I can't rationalize it now." Iowa State's administration has backed Staiger the past three seasons, working with him as he tried to gain eligibility. Staiger had to sit out his freshman season because he played for a professional team in Germany, and then he played 32 games last season before appearing in all 17 games this season. He was averaging 9.4 points and shooting 42.5 percent on 3s. "His case helped others and now you don't see players sitting out the whole year like [Nebraska freshman] Christian Standhardinger," McDermott said. Standhardinger, also from Germany, had to sit out the Huskers' first 15 games due to amateurism eligibility issues. The NCAA has taken a hard stand on international players who were on a team with professionals, even if they weren't being paid. "What I don't understand is why come back from Christmas break?" McDermott said. "We had four or five days. It made no sense to me. Obviously he didn't care about his team." Staiger clearly didn't, at least not in the same way someone else might. This illustrates Donovan's point that an international player might not see college basketball in the same prism as an American. But that is still hard to understand. Staiger started against the Cornhuskers in Lincoln on Saturday. He played 25 minutes and scored seven points. The Cyclones played only eight players, and it was more like seven because Dominique Buckley got just six minutes. Staiger's departure leaves the Cyclones with eight scholarship players after McDermott decided that suspended freshman guard Chris Colvin would dress Wednesday. "Whether he plays or not, I'm still not sure," McDermott told The Des Moines Register. "We will have him available to play if we need him." Colvin was suspended the past three games for violating team rules. "It's not fair to the other seven players," McDermott said of not giving the Cyclones a chance to win. McDermott suspended Colvin from games, but not practices. Junior guard Charles Boozer went down with a torn ACL in a loss to Texas on Jan. 13. Senior center Jamie Vanderbeken (knee, foot injuries) has been hurt and has played in only 10 games. McDermott said Vanderbeken will seek a medical redshirt for an additional season. The 12th scholarship player, freshman guard Antwon Oliver, is redshirting and won't come off that status. Staiger's 3-point shooting (48-for-111; team highs for 3s made and attempted) will be missed, though. McDermott said he will lean heavily on sophomore Scott Christopherson (19-of-38 on 3s) to make some 3s. But of course this means more of a load on Craig Brackins (16.3 ppg, 8.1 rpg) and Marquis Gilstrap (14.7, 8.9). The Cyclones had NCAA tournament aspirations when the season started. They are 12-5 overall, 1-1 in the Big 12, and their best wins include Iowa, Saint Louis, Houston and Nebraska, none of which will be an NCAA team. If Iowa State has any shot, it has to come by beating elite Big 12 teams. That mission begins Saturday against Kansas. No more excuses for Iowa State. This is when the season really starts. During the next 10 games, the Cyclones will find out whether they're real players or pretenders this season. Iowa State coach Greg McDermott has quite a slate in front of him during the next five weeks, with games against Bradley, Houston, Texas and Kansas at home, Duke in Chicago and road trips to Nebraska, Texas Tech and Oklahoma. Coming off a frustrating three-game slide with losses to Northwestern in Chicago, at home to his former employer (Northern Iowa) and at Cal, the Cyclones picked off rival Iowa in a much-needed win on Friday. "We have plenty of opportunities," McDermott said Wednesday while visiting ESPN's Bristol, Conn., campus. "I'm disappointed that we're 7-3, but we're still in good shape to finish off the nonconference strong and go into the Texas game [on Jan. 13] with confidence. You can't play Texas as a fragile team. You have to have a swagger when you play them at home." Injuries to big men Jamie Vanderbeken (foot) and LaRon Dendy (knee) haven't helped, but more importantly, the Cyclones can't finish big games, losing by two points to both Northwestern and Northern Iowa. "We've been in position, but we haven't finished games," McDermott said. "Sometimes your team needs to win, and that's what we're lacking right now. We've had a tough time in the program recently with experience and end-of-game possessions." The Cyclones easily could be a player in the Big 12 and an NCAA-bid chase if they knock off Duke on Jan. 6 at the United Center, where the Cyclones should have more of a following. They also need to take care of the other four home nonconference games and probably beat at least one of the two giants, Kansas or Texas. "Those are our first two home games in the league," McDermott said. "We're going to find out a lot about ourselves early. But we've got an opportunity to put ourselves back on the map and in the conference race." Iowa State will play four top-15 teams -- Texas, Duke, Kansas twice -- and only one of those games will be a true road game. "We have all the pieces now," McDermott said. "We've got an experienced point guard in Diante Garrett, a backup in Chris Colvin that gives us a lift getting to the basket, two shooters in Scott Christopherson and Lucca Staiger, an athletic wing in Marquis Gilstrap who can go to the bucket, and Jamie Vanderbeken and Justin Hamilton back and LaRon Dendy, who can get to the offensive glass." McDermott said that once the 6-foot-11 Vanderbeken returns to full strength, he'll force fewer double-teams on All-Big 12 forward Craig Brackins because of his ability to make 3s and stretch the defense. He said Brackins, who can go for 40 points but doesn't need to this season, is more efficient, more selective and more unselfish in distributing. "In a short period of time, we'll know," McDermott said of ISU's progress. "We have to be playing with confidence at that time. We lost three games in a two-week period, and there was some of it in the locker room of, 'Oh, here we go again,' but we came out with the intensity [against Iowa]." McDermott said the team got into trouble when it was a court-to-court game against Northern Iowa and Northwestern rather than up-tempo affairs. The Cyclones will have to play various ways to be consistent in the Big 12. Iowa State still has a shot to be a player. The Big 12 will provide plenty of ranked opponents, and the nonconference slate still presents that marquee matchup with Duke. If the Cyclones don't put themselves in position to earn a bid, they'll have only themselves to blame. Reason for optimism: The Yellow Jackets brought in arguably the best freshman center in Derrick Favors. He'll team with Gani Lawal to form a formidable frontcourt. Georgia Tech is healthy on the perimeter and deeper than it was a year ago. The Yellow Jackets also should finally know how to close out games. (Yes, I know they needed overtime to hold off Indiana of Pennsylvania in an exhibition game.) They're the only team in the ACC that will play North Carolina and Duke twice, so they should have the best power rating of any of the 12 ACC teams. What could happen: Georgia Tech could win the ACC. Yes, the talent is in place for the team to go from two wins to the league title. What's likely to happen: The Yellow Jackets should win nine to 11 games in conference play. That would be at least a seven-win swing, good enough to get them into the NCAA tournament. Reason for optimism: Craig Brackins returns to the Cyclones, and he has the potential to be a Big 12 Player of the Year candidate and All-American. Add junior college transfer Marquis Gilstrap, and the Cyclones could have one of the best one-two scoring punches besides Kansas and Texas in the Big 12. Iowa State's Hilton Coliseum also is one of the best home courts in the country. Don't be surprised if the Cyclones knock off one of the big boys at home this season. What could happen: The Cyclones could pluck off a few key wins -- perhaps winning at least one game among Duke, Kansas (twice) and Texas to earn an NCAA tournament berth. What's likely to happen: Iowa State should improve to at least a nine-win team in the Big 12 and be squarely on the tourney bubble in March. Reason for optimism: Coach Ernie Kent is billing Jamil Wilson as one of the top freshmen he has coached. If Wilson is as good as advertised, the Ducks have a real shot to climb in what should be a shaky Pac-10. The return of senior point guard Tajuan Porter and the likely improvement of a sophomore class that underachieved last season should give this team hope. Adding assistant Mike Dunlap should help in game management, too. What could happen: The Ducks have enough talent to finish third in the Pac-10, jumping from two wins to 10 or 11. What's likely to happen: Oregon probably will be in a tussle with Oregon State, UCLA and Arizona to finish in some order of 3 through 6 in the conference and be on the NCAA tournament bubble. The problem is the Ducks' nonconference slate might not be ranked high enough to earn a bid. Reason for optimism: The Red Storm are the only Big East team that returns all five starters. Coach Norm Roberts has focused on this season to be his best. Losing Anthony Mason Jr. for the start of the season hasn't hurt as much because Mason didn't play last season or on the team's trip to Canada during Labor Day weekend. This team already has learned how to play without him. The other thing going for St. John's -- if the Red Storm are ready to handle the pressure -- is the Big East is open to change this season. Plenty of moves could happen, with teams such as Marquette and Providence sliding to the bottom of the league, and that should allow the Red Storm to climb. That challenge will be daunting but nowhere near as imposing as it was a year ago. What could happen: This is still the same group of players who finished 6-12 in the Big East, albeit in a stronger conference. Moving ahead of Seton Hall, Cincinnati, Pitt, Notre Dame and Syracuse would be quite a feat. What's likely to happen: The Red Storm will be in the mix for a top-10 finish in the Big East and could move into the eight- or nine-win range in the league. But even that is likely to mean more of an NIT berth than an NCAA one. Reason for optimism: The carnage of the Kelvin Sampson era has finally subsided, and under the leadership of coach Tom Crean, the Hoosiers finally can begin to rebuild. Indiana adds an experienced transfer in former Georgetown guard Jeremiah Rivers, who will team with sophomore Verdell Jones III. The Hoosiers still will be one of the youngest teams in the Big Ten, but there is plenty of fight in this group. What could happen: The Hoosiers could move past Iowa and Penn State to finish at least ninth in the Big Ten with possibly five wins in the league. What's likely to happen: The problem is the league may be the best it has been this decade. The Hoosiers draw tough road games at Illinois, Michigan, Ohio State, Purdue and Minnesota. The only break is that Michigan State will visit Indiana, but the Hoosiers won't make a return trip to East Lansing. Indiana probably won't make the postseason, but it will show an improvement in the win-loss record in the league and be a peskier putout. Reason for optimism: The 49ers are banking on Boston College transfer Shamari Spears to be their go-to inside scorer. He already proved to have soft hands during exhibition play. Finishing in practice was never an issue for Spears at BC, but when the lights were on, his fingers became butter at times. If he can be a lock for the 49ers inside, he'll prove to be the perfect balance to guards Ian Andersen and DiJuan Harris. Losing Lamont Mack hurts the scoring pop, but this team may be better-balanced. What could happen: The Atlantic 10 will be dominated by Dayton, with Xavier and Richmond on the Flyers' heels. But don't dismiss the 49ers. They have the potential to make a significant jump into the nine- or 10-win mark. Charlotte will play Xavier twice and get two shots at Richmond. Playing at Dayton won't help, but the 49ers will have a chance to compete with the others for second. What's likely to happen: Charlotte still should finish no higher than fourth, but it will earn enough good will through its record and ranking (playing at Louisville, at Old Dominion, home against Georgia Tech and at Tennessee) to earn a postseason berth of some kind. Reason for optimism: Paul George. Can I say it again? Paul George. 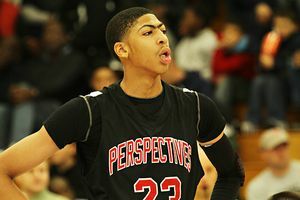 He is a star and one of the NEXT athletes ESPN has been pushing. The Bulldogs under Steve Cleveland have been all over the place, but there is a sense that things should settle down in a league that doesn't have an intimidating team. Sure, Utah State is the favorite in the WAC, and Nevada has Luke Babbitt, but it's not as if Fresno State can't climb from three wins to at least eight in the league. What could happen: The Bulldogs should be in the mix, at least in the middle of the pack. What's likely to happen: Expect Fresno State to affect the WAC race but fall short of a postseason berth. Reason for optimism: The Owls recruited well under Ben Braun. The freshman class should increase the talent quickly in Houston. What could happen: If the freshmen can produce quickly, a four-win improvement isn't totally out of the question. What's likely to happen: The problem with moving up to eight wins is that the league is even more balanced this season with Memphis, UTEP, Tulsa and Houston capable of winning the conference. Reason for optimism: Owls coach Mike Jarvis is talking up freshman point guard Raymond Taylor as the next Shawnta Rogers, his former diminutive but highly productive scorer at George Washington. The Owls will be one of the youngest teams in the league, but they should be more talented and productive. What could happen: The Sun Belt will be led by Western Kentucky, North Texas and Denver, but it's not as if any of those teams is intimidating. There is room for FAU to climb significantly in the league standings from two wins into the seven or eight range. What's likely to happen: FAU will climb, but it won't be enough to yield a postseason berth. If there is improvement this season, then postseason could be in the discussion in 2011. Reason for optimism: Let's start with Binghamton's implosion. That should send last season's champ down to the bottom of the league, pushing up a team like Hartford. The rest of the conference is solid and has some noteworthy players, including Vermont's Maurice Joseph and Marqus Blakely. New Hampshire and Boston University should be in the mix for the title, too. But there is room for advancement for the Hawks. Newly named assistant Rick Brunson, a longtime NBA player, was added to Dan Leibovitz's staff and has raved about junior college transfer Milton Burton. Having a healthy Joe Zeglinski on the perimeter will help the balance. If this team can defend and rebound, it will have a shot to move into the eight-win range in the America East. What could happen: Remember, the Hawks played for the America East automatic berth in 2008, and they'll host the first two rounds of the conference tournament this season. So a run to the title game isn't out of the question if they can make the Chase Arena at Reich Family Pavilion rock. What's likely to happen: The Hawks will improve their win total but won't reach the postseason.